The Royal Ballet has recently committed itself to sharing its knowledge in caring for dancers, by partnering with the National Institute of Dance Medicine and Science. It’s support of the National Institute of Dance Medicine and Science means that one of its research projects that aims to gather injury and fitness data from dancers at the UK’s major companies and schools can move forward, in a data-driven approach to dancers’ health. The project hopes to improve care for dancers’ health and wellbeing through this research, and as a result of the partnership The Royal Ballet will share learning from its system that uses specialist digital technology to track dancers’ injuries, health and day-to-day training, which it uses to inform its injury prevention strategies. As they work together it is hoped that the dance industry will better understand the vast breadth and depth of ‘injury’ across the wider dance sector. It is deemed as essential for the development of the industry. The partnership between the ballet company and the National Institute of Dance Medicine and Science will strengthen the valuable work already done in this area, and will go on to further support the physical and psychological health and wellbeing of dancers around the world. The work has been welcomed by the founding partners of the National Institute of Dance Medicine and Science, including One Dance UK and Birmingham Royal Ballet’s Jerwood Centre for the Prevention and Treatment of Dance Injuries. The centre has already begun to align its injury surveillance methods with the Royal Ballet. The National Institute of Dance Medicine and Science was founded in 2012 to share dance science expertise and provide information, guidance and access to healthcare services. Its other partners include the Royal National Orthopaedic Hospital, Trinity Laban Conservatoire of Music and Dance, the University of Birmingham and the University of Wolverhampton. With a multitude of dance events and exhibitions taking place up and down the country this year, there is no end to the fun dancers can have attending and seeing what is on offer, be it shopping, browsing dance courses or taking part in pop-up classes. This year Dance Direct will be present at the Can You Dance? conventions, taking place in a number of cities throughout 2017. It is the biggest touring dance convention in the UK and will be visiting 10 different venues this year. There will be the opportunity to shop the great range Dance Direct stocks, but most exciting is the chance to win big in a pirouette competition! Show us how many pirouettes you can do at our stand, or post it on social media and tag @dancedirect, to be in with a chance of winning a Dance Direct goodie bag, full of lots of freebies! It’s never too late to start practising: pirouettes are not always a dancers’ favourite part of class, but with a few tweaks you can drastically improve your technique and ensure you are spinning across the studio. Often pirouettes can go slightly AWOL if a dancer does not have the strength to maintain their turns. A strong relevé onto demi-pointe and using the core to control your centre of gravity can do wonders for the number of turns you can achieve, and your recovery too. Starting at the barre before moving into the centre, practice snatching your working leg onto demi-pointe, and your other leg to retiré. With strength running through your arms too you’ll create a solid base for your turns. Perhaps the most vital part of succeeding in your pirouettes is the use of your head, and spotting using a point in space ahead of you. Not only does this help you achieve multiple turns by the body following, but it also helps to prevent dizziness – you can then turn some more! Before you turn, decide how many pirouettes you will achieve. If you need a double pirouette then don’t change your mind halfway through – commit to your turns and use your head to whip round twice. Keep your head up and your shoulders back, and you’ll sail round. Looking at the floor will only mean you will end up down there, and unless it is choreographed, it’s best to stay standing! Giving dancing bodies the correct fuel to perform is of utmost importance. Many professional dancers stick to specific pre-show routines before they perform, and these all include helping the body to achieve its best by giving it what it needs to do so. It is important for dancers to nourish their bodies, as the body is the dancer’s tool, and there is just one of those! It must be cared for accordingly so it is still fit and healthy. Similarly, athletes will also work hard to look after their bodies and nourish them correctly, in order to gain optimum output for what is required. Whilst looking after the muscles and bones through diet and specialist care, the body’s overall energy and health must also be considered, both physically and mentally. Moving away from this concept is when dancers and athletes restrict their diets, as the body cannot produce enough energy to perform at its best, be it artistically or technically. The body will then turn to other energy sources within the body, so it is essential to retain the body’s muscle, strength, performance and appearance by consuming the right things. The body needs protein in order to repair itself effectively and prepare for the next day, as well as carbohydrates for energy and minerals and vitamins from vegetables and fruit. Decisions about diet must be made according to what the body’s performance or health requires, balancing this with promoting general health and wellbeing. Burning out can occur at any stage of dance training or consequent career; the diet is the fuel that dancers invest in the body, as do athletes, and food should be balanced for wellness and enjoyment. When dancers and athletes discover how the body works best – in a combination of rest, wellbeing and diet – it will then become easier to produce the most on the way to its best self. 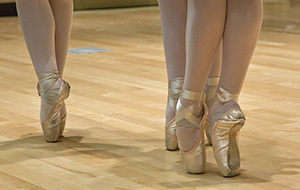 Many dancers take part in competitions throughout the year, and are often keen to learn new dances to present against their peers. Music can be a large part of a routine to impress a judge, but can make or break the dance regardless of how talented the dancer is. It is important to ensure the music is age-appropriate; practising a dance can mean the music may fall by the wayside if it is listened to over and over again, but when it is heard by the judge it will be new and have an effect on how they view the dance routine. It will not only be heard by the judge, but also fellow competitors, teachers, parents and even younger audience members. A track may have a catchy rhythm or melody, but the lyrics may imply something quite different. That said, it is important to choose something both the student and teacher likes. You will both hear the music time and time again, so make sure you can create an honest, genuine connection to the music. It will be all too clear to a judge if you do not like your music – there will be force rather than flow. There are many song choices available for many different genres and dancers. The choice does not necessarily have to be what is popular, with quirky and unique music choices just waiting to be discovered. Don’t just limit your choice to this week’s most purchased songs in the charts. Consider using underground artists to ensure your music choice is the only one used at a competition, or widening your search to different genres. You could use Broadway show tunes, classical music, instrumental versions or song covers by different artists in order to surprise the judge. Don’t be afraid to take a risk with your music choice: it will stand out to both the judge and the audience. Ultimately a dance competition is about the total package – how it is performed, the costume, choreography, and the commitment of the performer. Music is just one ingredient, and all the performance elements must unite. 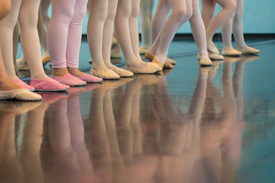 With the summer months well underway, many dance students are preparing to begin vocational or further dance training in September on a college or university programme. The years of study will pass by in a flash so it is essential to be ready to hit the ground running when beginning your studies, ready to get underway straight away. There are many things prospective students can do to prepare for their studies, the first being making the most of your time off before the hard work begins. Having applied and auditioned for your place on the course, ensure you have a clear idea of the course structure and what you should expect to be doing when you arrive in the studio on your first day. There may be new information available to first year students that can be obtained, without the added focus on any of the other courses and institutions you may have applied to. There may be preliminary reading you can start on in these summer months, such as background reading for the areas you will focus on, or general information on further education. Don’t leave it too late to gather all the materials you will need to begin your course, such as buying mandatory reading materials, and making sure you read them! Keep abreast of information from your institution, such as deadlines for registering for classes and semesters that are essential to your learning. 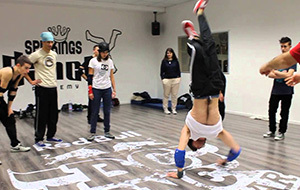 If you will be learning about new dance techniques, you may wish to take a couple of classes in the style in order to have an idea of the demands of the technique. You will be able to find out lots about your new tutors from the college or university website, giving you an idea of their work and their focuses on dance. Keeping active this way will mean your body is ready to train in September and alternative movement or fitness classes will help in cross-training. Seeing unfamiliar dance will serve to inspire you ahead of joining your peers in the studio, helping to open your mind to new dance and choreography. As children, parents and carers spend lots of time and money committing to dance lessons, even when they take joy from watching rather than doing. Taking children to dancing lessons requires energy and time, not to mention additional funds for competitions, costumes and extra performances. For a child, it is not until later that they see dance lessons in the same way, as an investment. 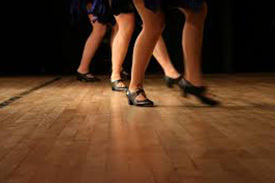 Only then do they see that time, money and energy go to waste when they do not make the most of their dance lessons. It is understandable that every dancer experiences a rut in their training, where they may not want to attend classes or feel they are not improving at the rate they should be. Despite this, it is not the dancers that stretch the most, sweat more or practice at home at all hours that necessarily get the most out of their dance classes either. The correct mental attitude is hugely important in dance training, to understand the purpose of dance for yourself and how to experience it in the best possible way. When dancers become older, their adult freedom equates to a similar responsibility for themselves, be it getting themselves to classes, paying for their own training or beginning to assist with the teaching at the local dance studio. With these aspects comes heightened responsibility, for learning, fuelling and directing your dancing. It goes without saying that dancers must therefore arrive early and prepared for class, being focused and dedicated to the class, taking and applying corrections that are given to the class and spending time on the parts that need the most improvement, even if that means going back to basics. Making mistakes is a large part of dance training; it will mean you will discover something new about the dancing body, through listening, watching, or error, even if this feels uncomfortable. Don’t forget to enjoy the process and thank your teachers for giving you the tools to better yourself and work hard in each class you take. The aesthetics of ballet are continuing to evolve, however something which has remained a constant is the appearance of the foot when it is fully pointed. The ankle joint has limited movement outwards and inwards, however the adjustments of the foot’s position can make a big difference to how it looks to the audience. The foot as an extension of the ankle can elongate an arabesque or alternatively turn it inwards and demonstrate a weaker foot by sickling. When the foot is pointed in a neutral position an invisible line can be traced up through the floor, foot and into the ankle. Whilst this is technically correct, a winged shape can be seen as more desirable in that the toes are pointed outwards, extending the line. Sickling the foot might indicate poor training or weakness in the ankle, as well as demonstrating a more unsightly line. The ankle has a slightly larger range of motion inwards, so students may be prone to sickling regardless. Genetics or anatomy can also contribute to a student’s tendency to sickle, and injuries can occur when the foot is both sickled and weight-bearing. This pulls the tendons of the ankle out of alignment, yet injury can occur when winging the foot too. Sickling can even be the intention for some choreographers, if that is what the movement or piece demands, yet for the majority of times, improving ankle strength and stability will minimise sickling. If the foot winging is supporting weight, this too pulls the ankle joint out of alignment. 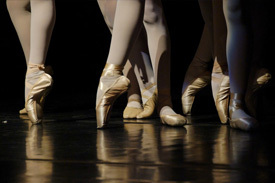 Dancers may force their heels forward with tendus, instead of using their turnout. This places stress on the tendons on the inside of the foot and twists the knee joints. Despite this, winging could be encouraged in non-weight bearing positions in order to improve individual aesthetics and enhance the line – and limited turn out – the dancer is creating. Turn out must be fully engaged however, so as not to solely rely on the shape of the foot. There are many dance-inspired fitness methods on the market today, from fitness trainers who used to be dancers to those who use dance as a means to remaining happy and healthy, whilst not having a dance background. Aerobics and Zumba classes still have their place, but these are now two of many different options for class participants. Workouts of these kind offer a combination of dance, fitness and wellbeing, and there is truly something to suit everyone, be it at sports centres or the local dance studio. Today dance-inspired fitness – such as ballet-inspired workouts, dance cardio and toning barre classes – use dancers’ graceful and athletic bodies as a start point, aiming to emulate the idea of dance and being a dancer, rather than aspiring to lose weight or tone up. Strength, lengthening and athleticism can be just two focuses in classes of this kind, aiding existing fitness regimes for both non-dancers and dancers alike. 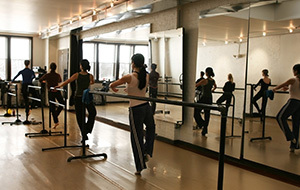 Equally, classes such as HIIT (high intensity interval training), yoga and Zumba can be offered at dance studios that may have previously only offered technique classes. Barre-style workouts can be used for physical as well as mental fitness benefits. They usually use the body’s own weight to gain lean muscle and a balanced mindset, where the focus is purely on the own body. Many may combine barre, Pilates and dance, and may even incorporate hand weights to aid the body’s training. Mixing up the body’s fitness routine – whether it is from a dance or fitness perspective – continues to challenge the body, and help participants find both energy and strength in the change in fitness activity. Dance and fitness of course go hand in hand, so trying something different can renew your passion for the reason behind the workout, offering a range of benefits for both body and mind.